It seems that no matter where we travel, it is important to have our priorities set ahead of time. 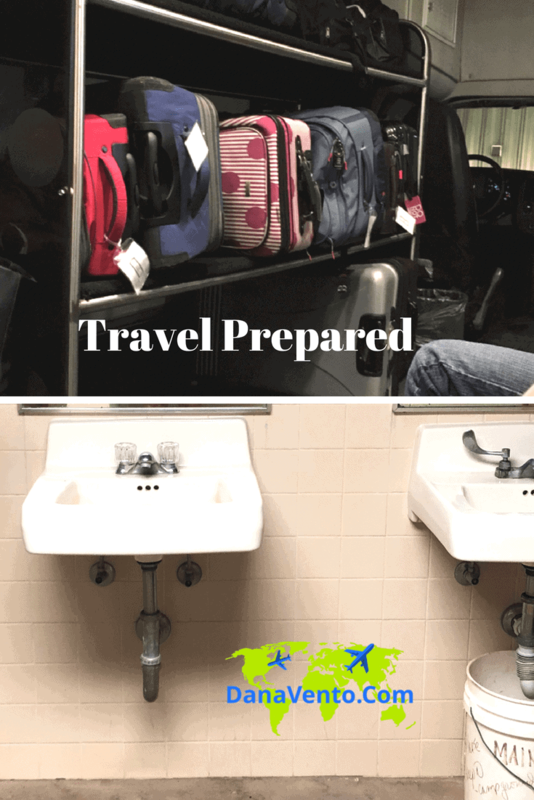 For most you might assume it is a cup of coffee or a bottle of water, however, the most important things you can bring along with you any trip are medical supplies. Having put some serious time in the air and in different parts of the country and out of the country I have just come to a basic recognition that goes like this, “have meds will travel!” Laugh as you may, being prepared ahead surely is useful for myself and anyone I am traveling with. From stomach issues to constant coughs, get prepared and be ready for whatever you travel throws at you. Whether you travel by plane, car, ship, taxi, tour bus, etc, you will have this all under control because you are organized! 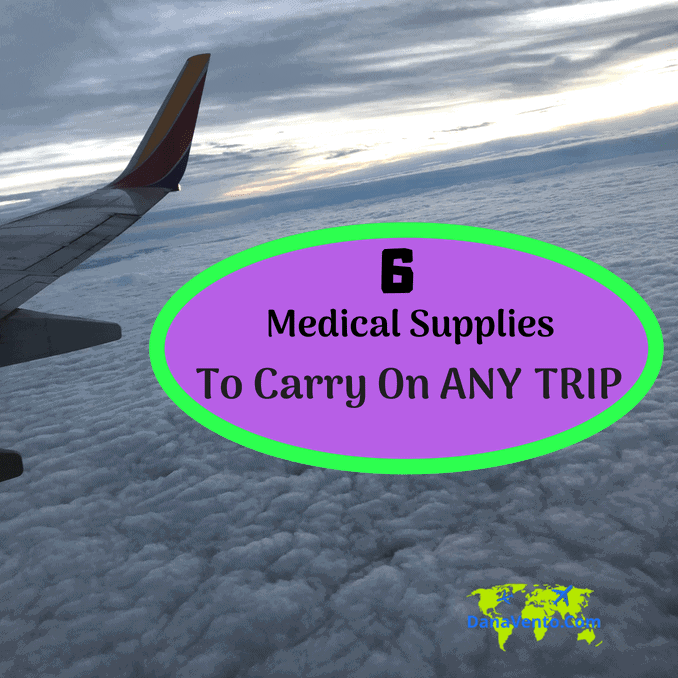 Lavishly live travel out loud and use this list of the top 6 medical supplies to carry on every trip! We were on our honeymoon and I became ill, and while I am not going to go into details, even fluency in a language did not help me find what I needed at a pharmacy. What we use and other places use are different. Sometimes even when containers look the same, they are not the same product. Point in case what might look like a pain reliever might actually be a sleep-inducing pain reliever. You simply can’t make a mistake with medicine it can cost you your life. With that said, here are my top medical supplies to carry on any trip, that I do carry always! My son has an allergy to latex, and my skin crawls when I use latex, thus, I do not use latex bandages. You never know when a hangnail, a cut, or a skin tear will happen. Carry bandages with you wherever you go. They are flat, travel well and you can preselect latex or non-latex before a crisis strikes. Why bandages? Consider a lot of walking and blisters, or catching your finger in a zipper or ripping a hangnail. This is all stuff that happens and seriously who needs to track down a bandage? Do you know most airlines don’t offer bandages as an item they keep? I listened to one flight attendant get a little ticky because someone needed one from pinching their finger in a seat belt and pinching it till it bled. The Million Dollar Response — that taught me one thing.. Bring Your Own! His response was, “we are not a pharmacy if you did no bring it we do not have it!” Then he went on about his business telling all of the other flight attendants and they were all a little ‘off’ about it too!’ However, one kind attendant said, ‘if anyone has a bandage with them we would appreciate it for a fellow passenger’ and of course passengers helped passengers. You are in a car riding as a passenger in a LYFT or UBER and you suddenly become ill. Oh My, now what? Are you gonna hurl? What do you do? Or maybe you are on a plane ride and it gets totally shaken by turbulence, now what? Your belly is ready to toss itself overboard. Or, you are on a boat and suddenly you are sicker than anything and you wished you could find meds to calm the motion down. Alrighty, guess what you need to pack on every trip for every type of motion? Anti-Motion Sickness Medication! Truly a way to defeat it before it sets in and for some, it allows them a quick nap from Point A to Point B. Have you ever been on a plane ride or on a bus, or tour and someone just keeps on coughing. Let me tell you, between irritability of travel and the fear of their dirty cough-ridden hand touching something I would prefer to donate a cough drop than hear it anymore! Cough Drops save sanity. If you have a ticky cough, a nuisance cough, please for the love of all the other passengers bring along a few cough drops and use them. Keep your hands off of your germs, and stop spreading them or keep your cough a little quieter. We all will thank you. Air travel is tough on everyone, without exception. It catches up with all of us. Time, small areas, tiredness, and of course ear congestion, headaches, etc. Do not leave home without your antihistamine and your decongestant. One very wise Doctor advised me to take Sudafed and Claritin about one hour before take off. It was also suggested to snort Afrin on the way down. After trying it I get it. It is like a party on the plane because I watch several others do the same thing. Pop the decongestant and antihistamine and then snort the Afrin, and find yourself without a headache or ear issues! Check with your doctor before doing any of this! Let me just get right to it, diarrhea stinks (ha! and pun intended). There’s just nothing worse than having a stomach that won’t stop and when you have to travel time is everything right? Planes are not conducive to your condition and car rides are dependant on bathroom stops. Sometimes the bathroom stops can be 75 miles in between (been there, done this!). Always, pack antidiarrheal medicine with you. No matter where you go, or where you are headed, you will hug yourself later for being ultra-prepared. If you have diarrhea, you will not have to track down meds while you are trying not to crap your pants. End of story! We’ve all been there and nothing is worse. Last, on the other side of the spectrum is the big, bad belly bloat from having to go and not being able to! A few quick fixes for you, are mild laxatives, or daily probiotics. Now, travel bathroom is a whole different kind of ordeal. It would seem that just as you are getting back into your normal schedule you pack up and leave. That does not help your bloating or belly pains. Make sure you are staying hydrated while you fly or drive and that you take probiotics daily. If you do not you may want to consider a mild laxative to tote along, so that you can gain relief, stop the belly pains and be able to button your pants again. You may be cracking up at all of this but there is nothing funny about feeling ill while traveling and not being able to find a place to buy what you need. If your plane comes in late most stores in the airport are closed. Also, chances are you won’t’ find anything open around your hotel. When you are traveling to foreign countries if you do not have a command of the language download a language app to translate what you need to the Pharmacist. Do not just guess. Your life is at stake when you take meds that may not mix with your body or other medicines. Last, always consult your doctor before trying anything new. As I listed above, I have consulted with my Doctor to get these little issues under control, be sure to discuss with yours! The information on DanaVento.com is provided for informational purposes only. It is not intended to be substituted for the advice provided by your doctor or other healthcare professional. If you rely upon any programs or techniques or use any of the products and services made available by or through the use of our website for decision making, without obtaining the advice of a physician or other healthcare professional, you do so at your own risk. The nutritional and other information on our website is not intended to be and does not constitute health care or medical advice. great blog.it is always great to visit your site.you always share very useful article and very useful things for travelling.i love your blog.thanks for sharing it.